Seems to good to be true............. or am I missing something? 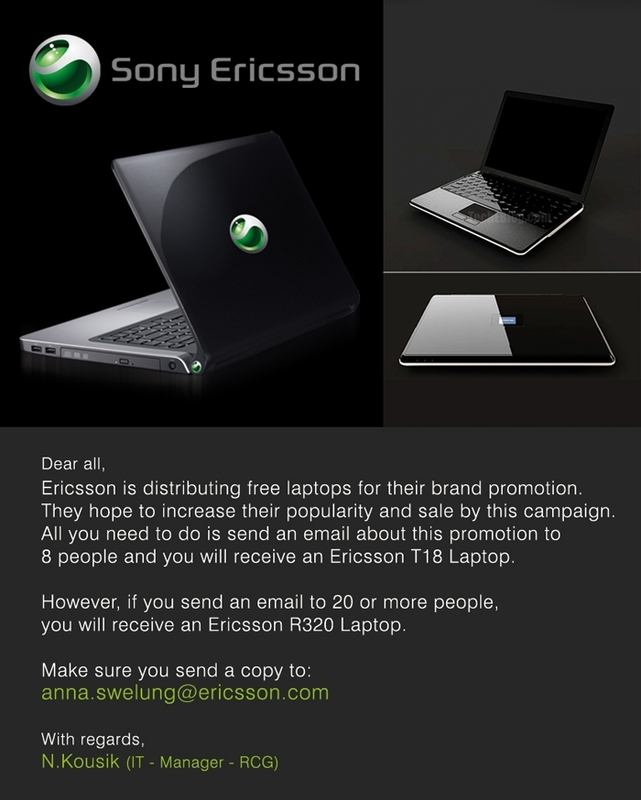 Re: "Ericsson Laptop Promotion" - is this genuine? Ah yes............... snopes.com - how come they know everything?